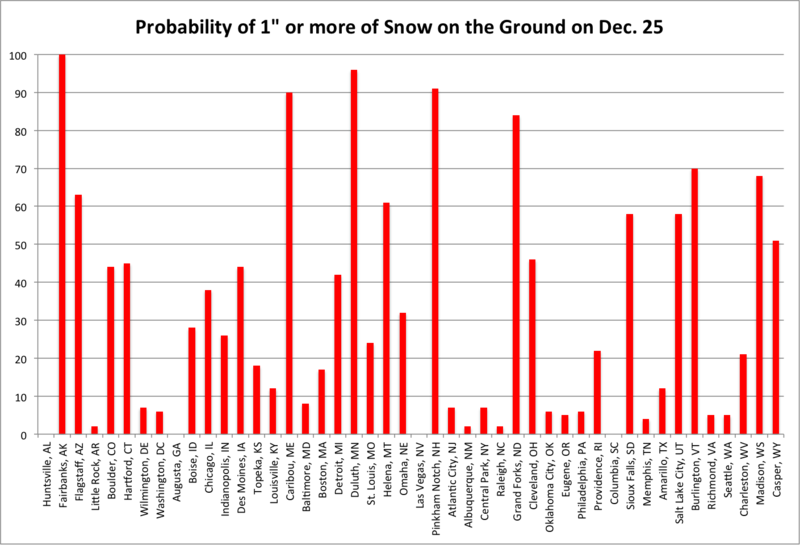 Probabilities of a white Christmas for select US and Northeast cities. The holiday season is upon us, so we once again begin to wonder if we’ll have a white Christmas. These probabilities for select U.S. and Northeast cites are based on historical data from 1966-2015. All of the previous 50 Christmas’s have been white in Fairbanks, AK. If you prefer to stay in the Northeast, Caribou, ME and Pinkham Notch, NH have 90 and 91 percent probabilities respectively. You might be yearning for a white holiday after last year’s green and very warm December. 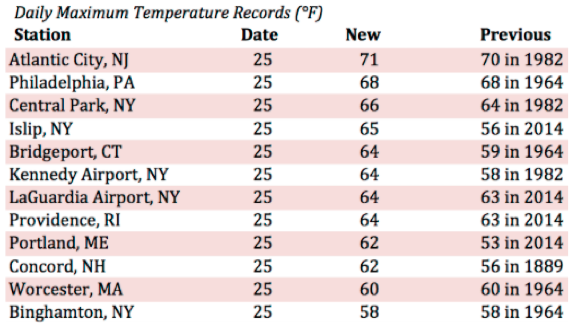 In fact, several temperature records were set on Christmas day last year. Atlantic City, NJ reached 71 degrees F! 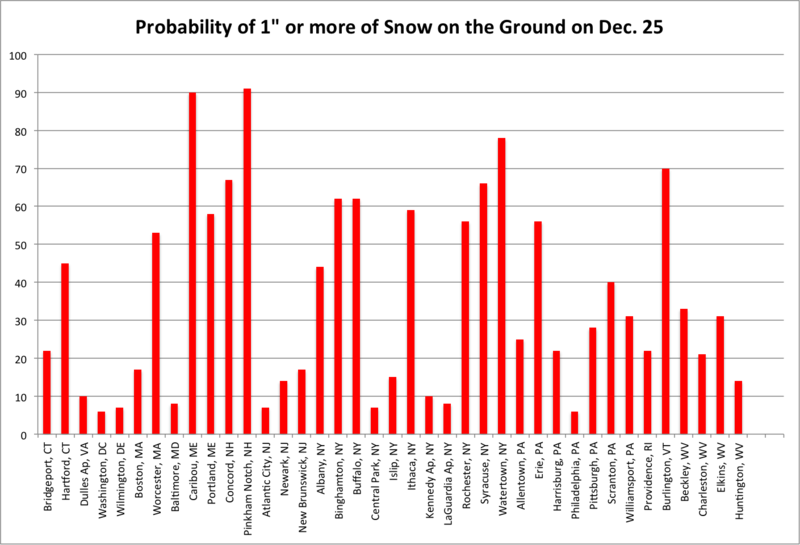 As of mid-December, portions of the Northeast have more snow than last Christmas. Current snow cover, these maps were produced by the NOAA, National Operational Hydrologic Remote Sensing Center. But will it last? 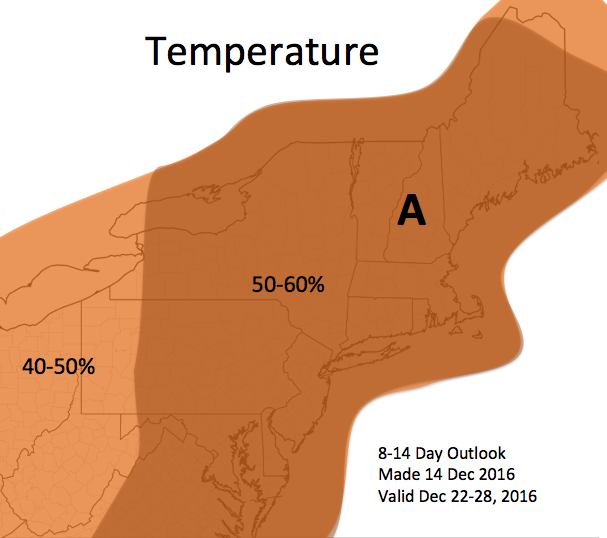 The NOAA Climate Prediction Center’s December 22 - 28 outlook favors above-normal temperatures for the entire Northeast. Warmer-than-normal temperatures next week could melt your dreams of a white Christmas.